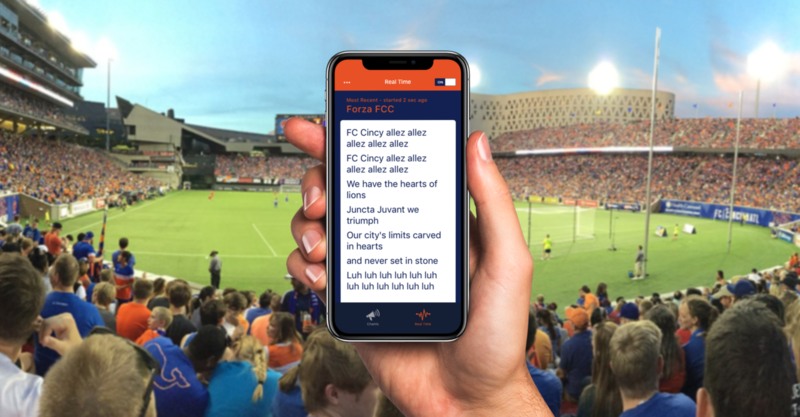 Cincy Chants allows you to explore all of the chants sung by the supporters. You can also watch videos when available of the chant being sung for reference. During a match, get notified of what the supporters are singing (this can be turned off if you aren’t in attendance) The notification will show you the words to that chant, so you can learn the chants and support the club. Cincy Chants is a project of Jerod Fritz of Centogram and George Murray of AUGUR Design. We wanted to make something to help ourselves and others learn the chants of the bailey and join in the fun of supporting our club during matches. The project took about 2 weeks from the concept. George sketched and mocked up the concept in wireframes. Jerod built the tech to test. It worked at the home opener and now we’re shipping the first version. If you have any comments, suggestions or just want to get in touch you can use the form here.